In this page you’ll find information about the pharmacokinetic constants of the active principles. 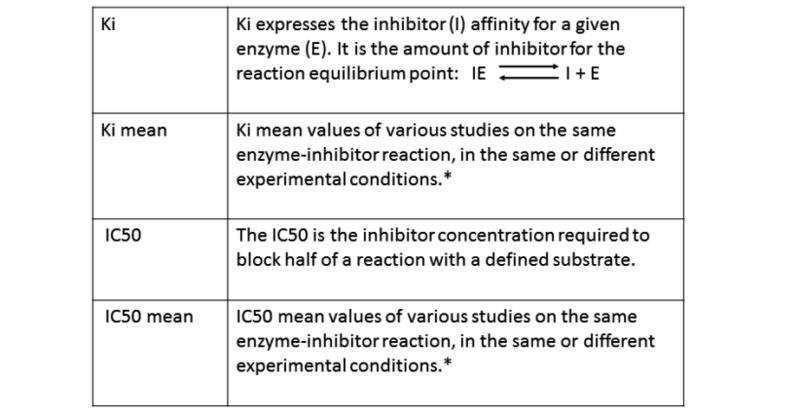 There are variables related to inhibition, induction, or to the “role” of substrate. The inhibition variables tell us how an a.p. 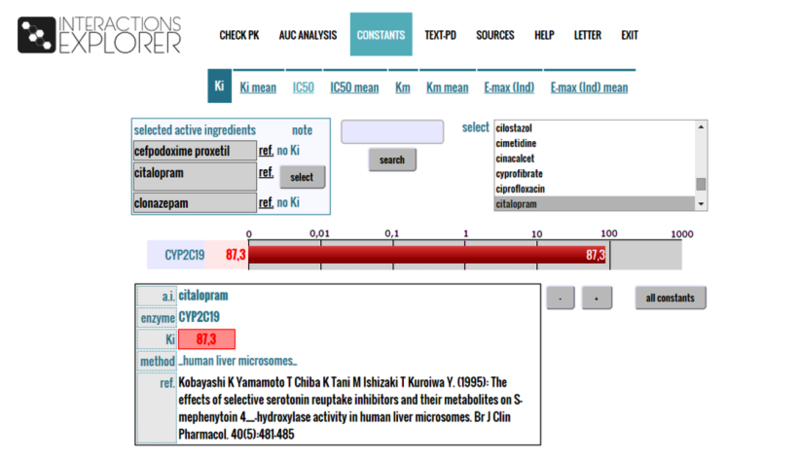 is able to block the activity of an enzyme. They are essentially the Ki and the IC50. The lower their value the more powerful is the inhibition. In the database these values are always expressed in micromoles. 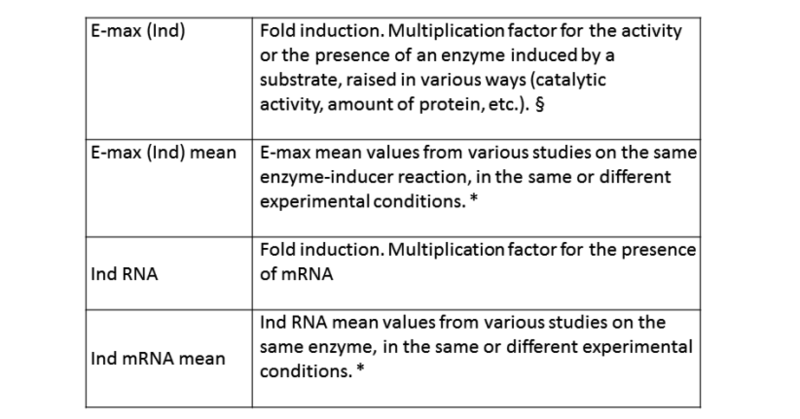 The variables induction related indicate the extent of enzyme increase caused by the substrate. * The constant does not belong to the scientific literature, but is a measure adopted in this database. The lack of standardization of the studies makes for a very coarse interpretation of the induction-related variables. We recommend to directly investigate the sources. The variables related to the “role” of substrate are important to understand how the same a.p. is metabolized by different enzymes. For example, if an a.i. 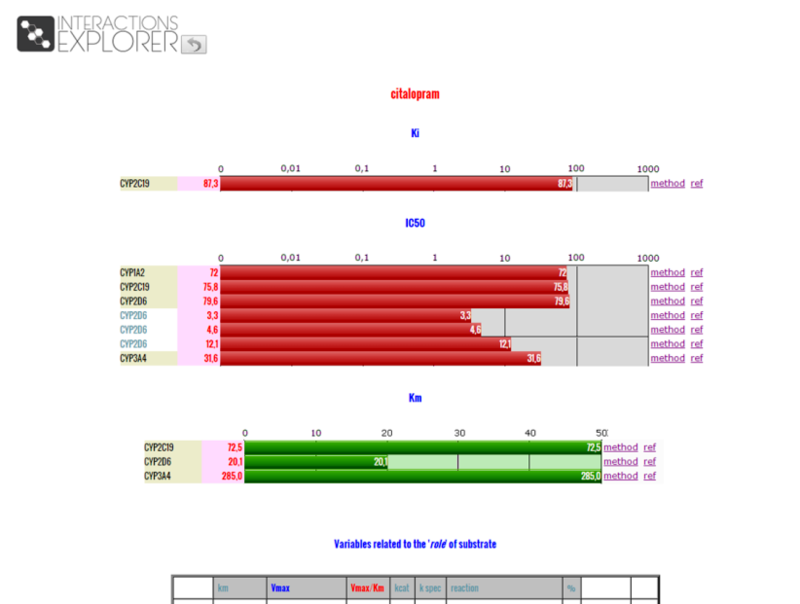 is metabolized by several cytochromes, but, particularly, by a CYP3A4 inhibited by another a.p. the consequences on the blood concentration of the first a.p. will be higher than other inhibitions. 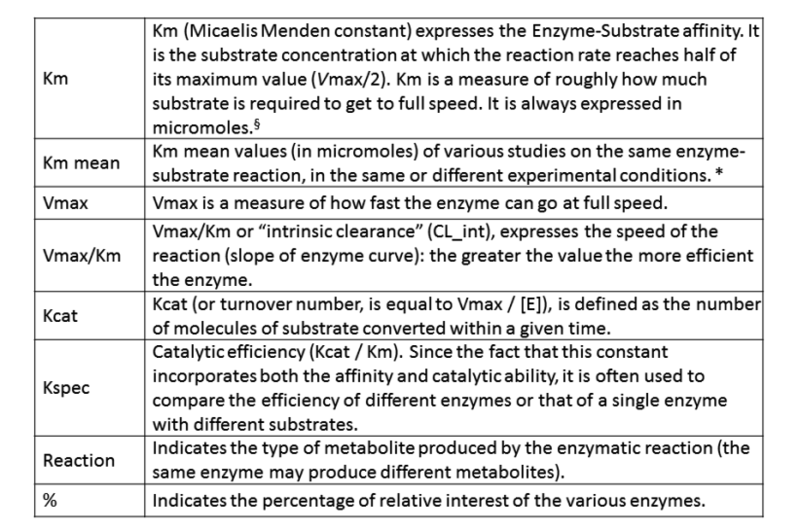 § Obviously the whole process of substrate-enzyme reaction depends on several factors. * The constant does not belong to the scientific literature, but is a measure taken in this database. Opening the “Constants” page, you’ll find a submenu. Select the kind of constant that you want to investigate. The list of a.i. previously selected in the “Check PK” page allows you to choose one of them. Otherwise you’ll may select an other a.i. from the list at the right side. We select, in example, citalopram.